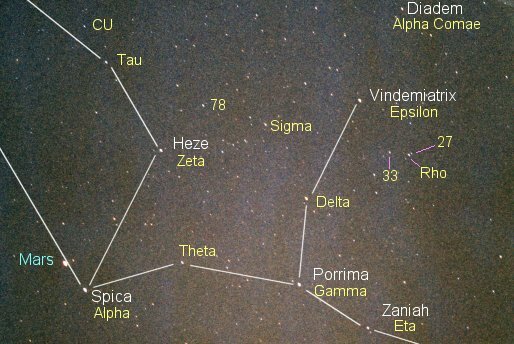 The most prominent part of Virgo, the Virgin, spreads to the northwest (to the right) of the first magnitude star Spica, which is being visited by Mars. Porrima and the star down and to the right of it point at the autumnal equinox. Virgo also has a star with an orbiting planet.